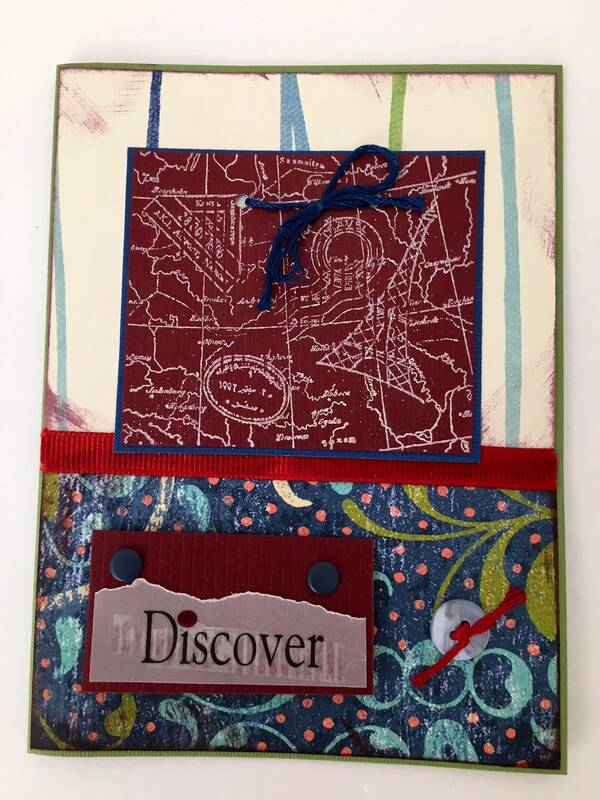 Hand stamped and hand embossed map with “Discover” sentiment, embellished with grey mother of pearl button and red thread, and navy metallic brads. Happy Birthday inside message. Great for guys or girls in forest green, navy blue and burgundy.